Poolie eats cicadas. A lot of cicadas! Like more cicadas than any dog in the world. I’ve tried to stop her but she’s fast. And a lot closer to the ground than me. Are cicadas bad for her? I can’t stand them, they’re so ugly and loud. Not that I’m profiling. I just worry that they’ll make her sick. What’s the appeal and what should I do? There’s a lot to unpack here, Jacob. First, your claim that Poolie eats more cicadas than any other dog. You may be a Giant, sir, but how dare you! I’ve eaten nearly all the cicadas, so your bragging is like a gauntlet across my muzzle. Were you here and not Northfield, whatever that is, you’d leave me little recourse but to ask you and Poolie to step outside. Which is where I keep my cicadas. To understand the appeal of cicadas, one must think like a cicada. That’s easier for some dogs, like Brisby, my co-canine, who is far larger than these insects except for his…well, I’d whisper the letters for “B-R-A-I-N” if I could spell. 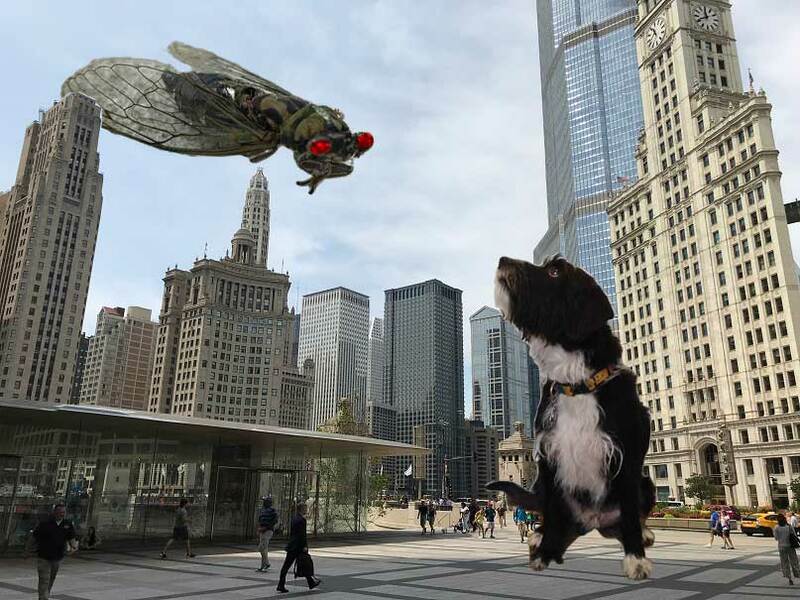 Cicada and dog wage titanic battle while far below, a city looks on with casual disinterest. Like terriers, cicadas live for the hunt. Oddly, they seem to prefer being the prey. Why else would they choose to be slow and clumsy and noisy and delicious? Brisby is a soldier without honor. A warrior without a code. On the plus side, he misses a lot of cicadas that I get. So to your question, Jacob, is it safe to eat cicadas? Obviously not for the cicadas. And that, I put squarely on their shoulders. If they have shoulders. Never really taken the time to look. Obviously, Jacob, eating cicadas shouldn’t be a problem for Poolie. And if occasionally she overindulges, she can do what I do: throw up on the carpet. Then it’s a problem for Giants. 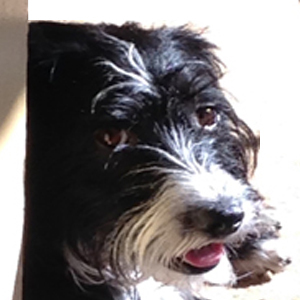 Read more Ask a Terrier columns. Maybe you could rent out your consumption services to people like me who have no pups to clean up their yards. I see a major small business opportunity! Do u know the difference between gourmet and gourmond?? Well, u guys must be the latter! Slow down and savor the flavors puleeze. Do the cicadas screech loudly in your tummy? They seem to make a lot of noise before they go in. I love the sound the cicadas make, Budleigh, so I don’t mind if you eat them as long as you don’t eat ALL of them. I am a bit taken aback but the picture you’ve posted of them. I had no idea they were that ugly and it’s hard to imagine eating one of them, let alone dozens of them. But we Giants eat lobster and a lot of it in my home state of Maine, so I guess I’ll suspend judgment. And I agree. Those scientists worry about everything!